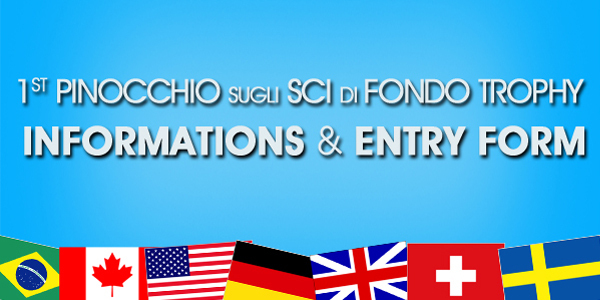 The 1st Pinocchio Sugli Sci di Fondo Trophy (Cross Country Skiing Trophy) competition is open to athletes of foreign federations. Registrations of foreign athletes is responsibility of their own federation. Form entries (downloadable HERE) must reach the Organizing Committee within Friday, March 25, 2016 via e-mail. Please send entry forms to info@pinocchioscifondo.com.